The goddess Velik takes a special interest in the federation and its heroes. Today, Velik announces a Grand Hunt, to celebrate and reward the greatest of the Valkyon Federation's champions. From March 10 following maintenance until April 5 following maintenance, log in to TERA and collect materials and receptacles to craft incredible rewards! 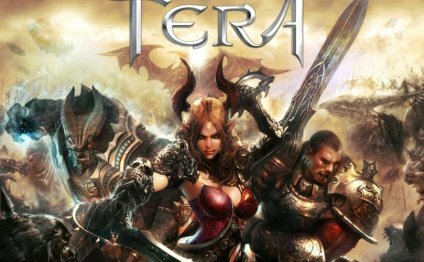 To start you off, Velik has scattered five must-have materials across the world of TERA for you to hunt. Cadmins drop from BAMs on the Island of Dawn and from max-level dungeon bosses. Rochens are earned by reaching leveling milestones, and can be purchased directly with Bellicarium and Vanguard Initiative credits. Stibias are earned by defeating bosses in leveling dungeons. You can also purchase them directly with Killing Spree and Vanguard Initiative credits. Terebins are rare drops from max-level dungeon bosses. Also a guaranteed drop from Kelsaik in Dreadspire challenge 15. Bezoars are rare drops in Dreadspire challenges 16-22, with an escalating drop chance based on the challenge completed. The more difficult the challenge, the higher the drop rate, with a guaranteed drop for completing challenge 22. EDIT: Bezoar is currently not dropping from bosses on floors 16-21 in Dreadspire. While we investigate a solution to this issue, we have added the guaranteed Bezoar drop to "Montori's Haul: 22nd Challenge" box. In addition, we have temporarily added a chance for Bezoar to drop from Kelsaik in Dreadspire challenge 15. To use these materials and reap your rewards, log in on specific days and claim special divine receptacles from the login rewards calendar. Combine a receptacle with specific materials to create the reward boxes noted below. The receptacles and materials are used up in the process, but you can obtain more throughout the event. Velik’s Passion—When combined with cadmins, terebins, and bezoars, this receptacle produces Velik’s Enchantment box containing one of six scrolls with a chance to automatically enchant eligible tier 8 (or lower) gear all the way to +12. Each scroll has footwear, handwear, body armor, and weapon versions. Velik’s Vision—When combined with cadmins, terebins, and bezoars, this receptacle produces Velik’s Awakening box containing one of six scrolls with a chance to automatically enchant and awaken compatible tier 9 gear all the way to +15. Each scroll has footwear, handwear, body armor, and weapon versions.